Home / devices / hardware / hardware ios / security / Get ready for the indestructible iPhone! Get ready for the indestructible iPhone! 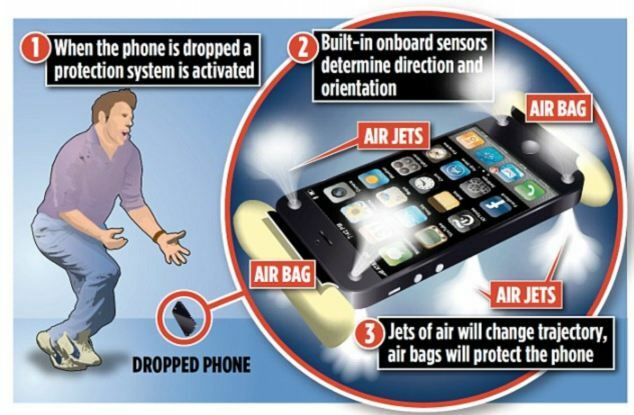 As anyone who has ever dropped their iPhone knows, mobile phones rarely come off best in a fall to the floor. However, a new patent application by Apple reveals a gadget that can automatically protect itself. 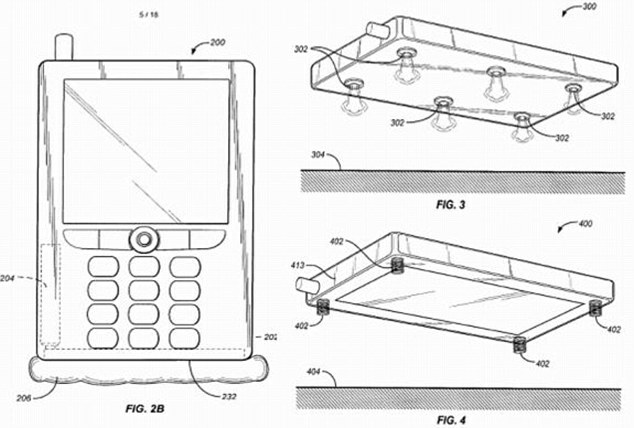 Published by the U.S. Patent and Trademark Office, Apple's 'Protective Mechanism for an Electronic Device' patent uses sensors to work out when the handset is falling. It follows a recent similar patent filed by Amazon boss Jeff Bezos, which showed gas cannisters moving a handset around as it fell. In Apple's patent, sensors are used Once this is worked out, the patent shows a number of ways the handset can be 'saved'. They include grips on the headphone cord, a weight inside the phone to alter its centre of gravity, 'wings' and even a gas cannister. Il Daily Mail ha pubblicato un nuovo brevetto depositato dalla Apple che mostra alcuni studi condotti dall’azienda per riuscire a proteggere gli iPhone autonomamente dalle cadute accidentali. Da alcuni documenti è emerso che la società di Cupertino è al lavoro su un gadget azionato da sensori in grado di comprendere quando il dispositivo sta per cadere. Il brevetto mostra un innovativo sistema di protezione che - grazie all’ausilio del giroscopio e del GPS - permette di rivelare anticipatamente quando l’iPhone sta per cadere per terra. Altri sensori, invece, andranno a leggere il movimento del dispositivo, trasmettendolo ad un rotore che si muove al fine di evitare che cada sul vetro, distruggendo così lo schermo.